Welcome to the Law Offices of Katherine S. Clark. 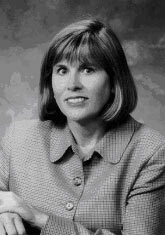 Katherine Clark’s practice is limited to Mediation, Arbitration and Employment law. With over 35 years of litigation, mediation and trial experience, she has represented both employers and employees in layoffs, severance negotiations, administrative proceedings and lawsuits in state and federal courts throughout California. She prides herself on providing high quality, efficient legal service at a reasonable hourly rate. She is honored to have received the highest rating (AV) for legal ability and ethics from Martindale-Hubbell.